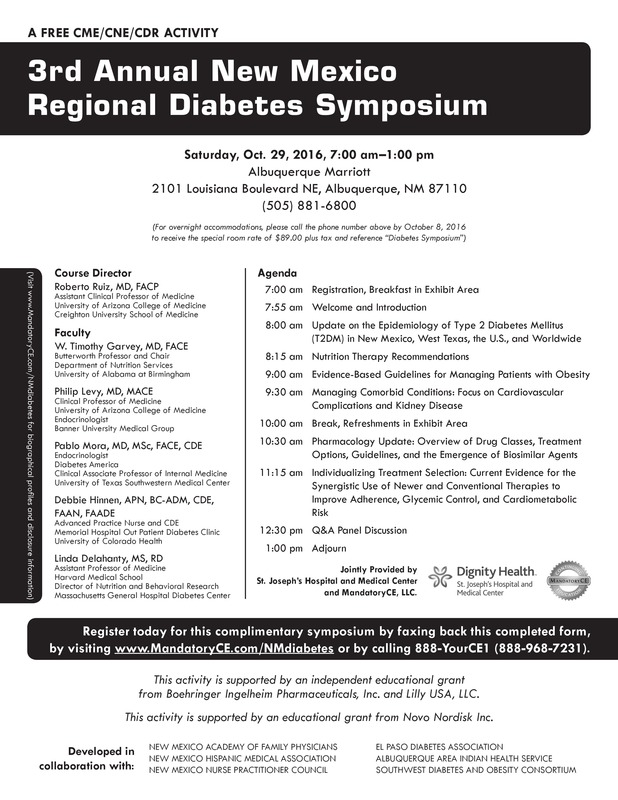 Throughout the year, NMDAC holds educational programs that focus on a diabetes-related topic. Each training typically offers 2-4 hours in continuing education credits. Below is an archive of past trainings and the materials provided by the presenters. The training session offered information on how to recognize common sleep disorders in diabetes, the bi-directional relationship between sleep disorders and diabetes and the association between obstructive sleep apnea and diabetes, and the effect of obstructive sleep apnea on glycemic control. The educational session also highlighted snoring rules and guide lines that are used to determine breathing events during sleep and clinic tools that are used to scan patients for sleep issues. In addition, the training seminar focused on describing the best CPAP mask and the five rules to help with CPAP mask fitting to prevent certain issues. The Office of African American Affairs is hosting the annual 90-Day Healthy Body Challenge and is looking for a presenter to speak on Diabetes in the Black community. A small stipend may be provided. If interested the event will take place on any Wednesday evening at 6 PM 3/15-4/12/2017. 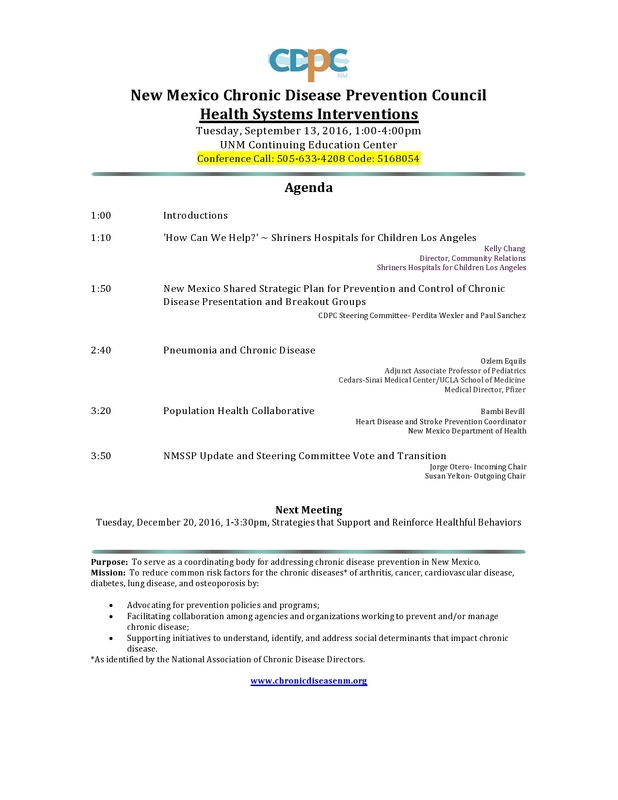 The Chronic Disease Prevention Council, with which the DAC has a close working relationship, has its quarterly meeting next week. All who are interested are invited to attend. In addition, please share this information with others in your networks who may be interested. Conference calling is also available by dialing 505-633-4208 and entering code 5168054. Sept 11: What’s New in Diabetes Medications & Treatments? Join us to learn about the latest in medications, treatments, and tools to help patients with diabetes become more familiar with their health management options.